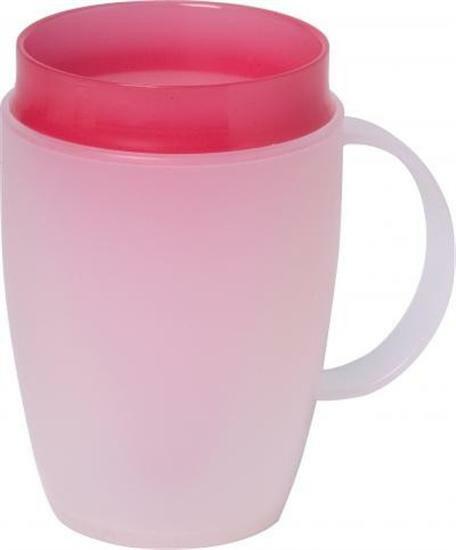 Insulated Thermo Mug With Extra Large Handles. A thermal mug for the elderly and disabled, this Thermo Safe mug has a double wall construction that provides effective insulation (keeping your drink at the right temperature for longer!). 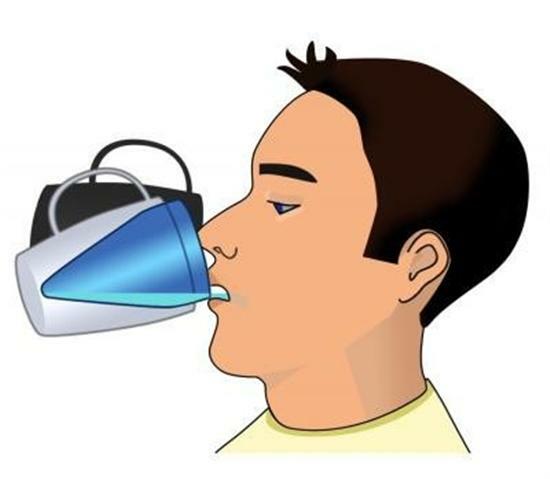 It also has an angled inner cone device that makes it easier for users with restricted neck movement to drink. It has an extra large handle for easier grip, and a colour contrasting rim that helps users with visual impairments to orientate the mug more readily, reducing chances of spills and accidents. Prompt reply from you before ordering. Very easy to order product with the info provided. Item was received within a few days of order and my sister was delighted with the quality of the cup. Excellent service and will use again. Thankyou. Frank Dowd.